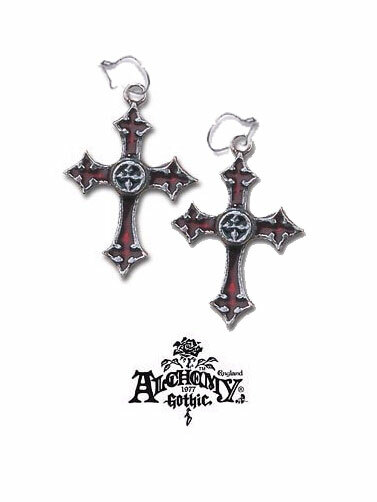 Alchemy Gothic™ Noctis Earrings feature a miniaturized version of a classic Gothic Noctis Cross pendant. Handcrafted in pewter by Alchemy of England. For pierced ears. Noctis Earrings measure 1.25"H x 1"W. Often sold as singles, we offer these as a pair.